I’m so excited because, first, I’m on a writing retreat with two of my awesome beta readers. 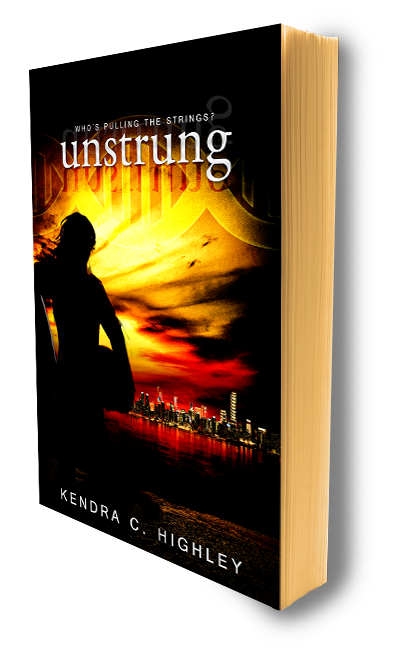 ::waves at Lindsay and Becca:: And second, because UNSTRUNG is live and out in the world! It’s really exciting to start a new series (and a little scary, too), and I can’t wait to hear what y’all think. If you pre-ordered the book, it should already be loaded on your eReader. If you haven’t, well, it’s out! It’ll be priced at $2.99 through the weekend, so be sure to pick it up before the price goes up to $3.99. You can find buy links here. Thanks so much for sticking with me on this new journey! And please let me know what you think about the new book, either via the contact page, or in a review. I really love hearing from you. Have an awesome weekend! This entry was posted in Blog on October 17, 2014 by Kendra. 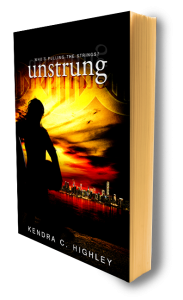 Unstrung is very good! I enjoyed reading it. The Perfectly Imperfect Match Is Here!